Dussehra is celebrated as the day of good over evil on this auspicious day, Lord Rama defeated Evil Ravana who had captured his wife Goddess Sita by evil means. After which Lord Rama went with his army of vanaras and other warriors to cross the ocean and defeated Ravan in his own city of Lanka. Lanka is said to have been built by the God’s themselves because they were scared of Ravana. It is said that Ravan was a fighter and a knowledgeable scholar but his arrogance led to his downfall. 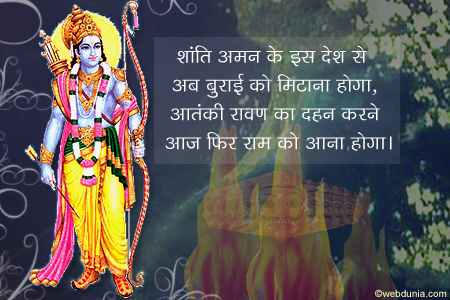 On the day when Ravan was defeated that day is celebrated as Dussehra. 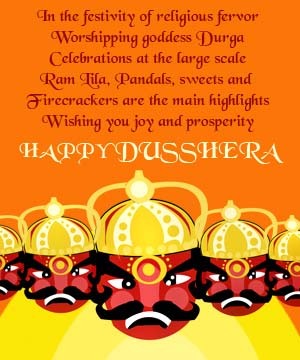 In modern times Dussehra or Dussera is celebrated by burning the effigy of Ravana which is usually made of paper and bamboo, which depicts the downfall of evil. We also try to refrain from our bad habits and inculcate the good ones. 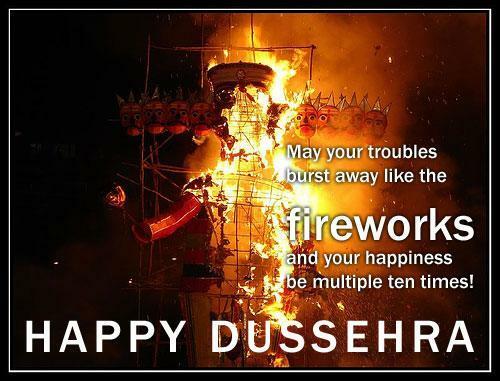 This is the true meaning of Dussehra. 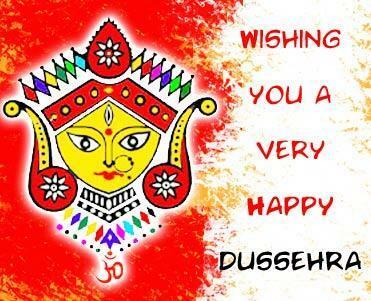 Here are some cool Dusshera Sms and Dussehra 2012 Greetings. 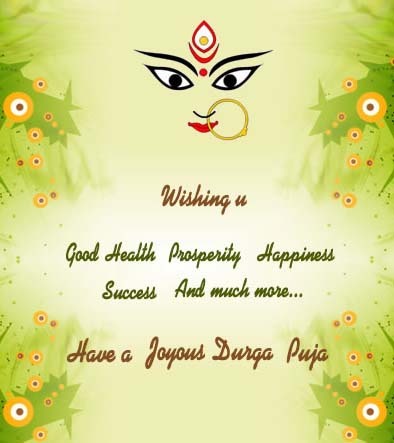 wish you a very very Happy Dasara. mubarak ho aapko dussehra ka yeh tyohaar. 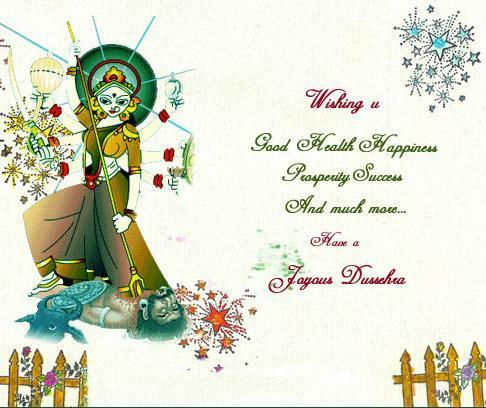 Dussehra Diwali graphics. Diwali comes 20 days after Dussehra.